Parents who allegedly helped their children get accepted into elite colleges through bribes are not the only ones who may face serious consequences. 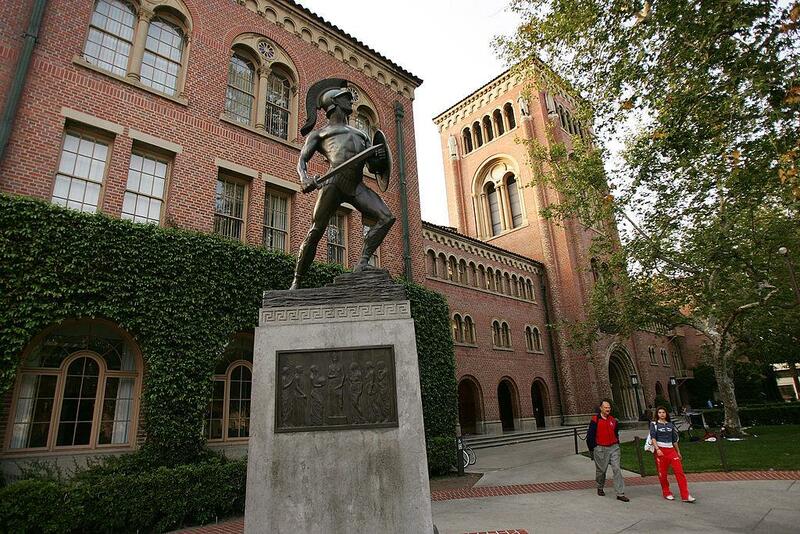 The University of Southern California (USC) announced on Twitter this week that they are placing the students of the parents who comitted the purported crimes under academic hold pending a review of the college admission scandal. "USC has placed holds on the accounts of students who may be associated with the alleged admissions scheme; this prevents the students from registering for classes or acquiring transcripts while their cases are under review," the school's statement reads. The New York Post reports USC is also currently investigating what donations have been received in connection to the scheme and plans to direct those funds to a non-USC organization to benefit underprivileged students. Olivia Jade and Isabella Rose, two of the students named in the admission scandal, already have made the decision not to return to USC. A source told TMZ they made the choice due to fears they would be “viciously bullied.” Their parents, Lori Loughlin and Mossimo Giannulli, were indicted by the FBI for allegedly paying half a million dollars to ensure their daughters were accepted into the elite university. The entertainment site noted Jade "is a mess, despondent and feeling like it's the end of the world."